The Internet has created new opportunities for mischief and new challenges for managers. In the end, it comes down to choice. Where do you draw the line? How do you balance individual access with the overall protection and good of the business? What is the correct balance between monitoring and blocking? 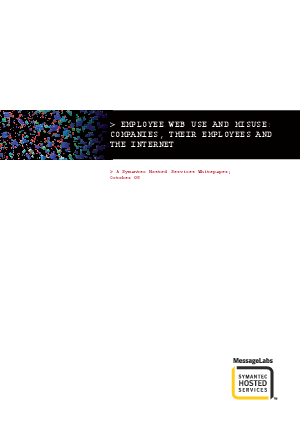 This white paper examines a Web security solution that gives companies the ability to monitor and enforce their Internet usage policies, bringing site monitoring and URL filtering together while insuring security with anti-virus and anti-spyware protection.